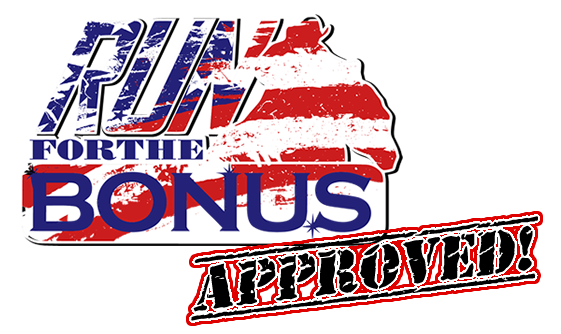 RUN FOR THE BONUS- DOLLARS FOR SCHOLARS - scholarship application Coming SOON! PRODUCER MEMBERSHIP LIST FORM - Must be completed & mailed in by producer sanctioning Bonus Race Finals qualifying event. Please remember when you send in Bonus finals results to include a results reporting form. These can be found on the website along with our other forms you may need for results. SINGLE DAY EVENT APPROVALS – for shows with a history of 50 entries or more and/or $200 added money. FEE $1/RUN (TAKEN OFF THE TOP OF THE ENTRY FEE) this is charged to EVERY rider in the open approved race. QUALIFIER ID# WILL BE GENERATED BY THE BRF OFFICE ONCE RESULTS AND $1/RUN PAYMENT IS RECEIVED BY OUR OFFICE. PRODUCER SHOULD MAIL FULL RESULTS (PREFERABLY IN EXCEL) WITH RIDER’S NAME, CITY AND STATE WITHIN 14 DAYS OF EVENT. BONUS RACE QUALIFIER WINNERS SHOULD BE NOTED ON RESULTS WHEN POSTING AT YOUR EVENT. IN CASE OF TIE MULTIPLE QULAIFIERS SHOULD BE AWARDED JUST THE SAME AS YOU WOULD SPLIT TIES FOR MONEY WON Producer can award 1 in each division for every 75 entries (1d-5d regardless of what divisions are used to pay your race). AT COMPLETION OF EVENT SEND A COPY OF THE RESULTS WITH QULAIFIER NOTED AND $1/RUN FOR EVERY RUN IN THE OPEN CLASS. BUMP UP OPTION - If total entries are within $15 of the next “level” you may pay the difference to “bump up” to the next level of qualifiers to be awarded. If you choose the BUMP UP option, please make a note to Mesa when submitting results. NOTE – WE DO NOT HAVE A PAID MEMBERSHIP FEE – WE DO NOT MAIL ANY NOTIFICATIONS TO OUR MEMBERS. MEMBERS MAY “SIGN UP” THROUGH OUR WEBSITE WWW.BONUSRACEFINALS.COM FOR A FREE MEMBERSHIP (WE ARE DEVELOPING A SYSTEM FOR THIS THAT WILL GENERATE A MEMBERSHIP ID# TO KEEP TRACK OF CONTESTANTS) THIS SYSTEM SHOULD BE IN PLACE BY FIRST OF APRIL. We suggest the following guidelines be followed at every event, however it is up to each producer to run their own event under their own set of rules/guidelines. These are suggestions. The final decision belongs to each individual producer. Entry fees and added money should be clearly advertised. Any added money advertised MUST be included in payout. 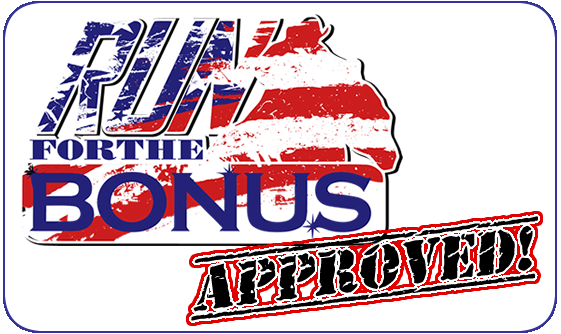 Any event advertised as Bonus Race Finals approved MUST be turned into our office with results and payment. Failure to follow this rule will result in producer/event blacklisting. Sanction fee should be taken off the TOP of the entry fee and no less than 70% of entry fee paid back. We recommend 75-80%. Office/barn/processing fee should be 1x/rider/day max. Producers should post their rules at each event, so they are clear for everyone to read/follow. Rules should include payback %, rerun policy (if prior penalties apply or not), refund policy, dress code, entry deadlines, etc. If awards are to be given, please make it clear how those will be given at each event. A liability release form should be signed to protect the producer, facility, sponsors of each event. No protection radius. We ask that producers use good judgement and do not schedule on top of other events near enough to draw the same contestants during the week. BONUS RACE QUALIFIER WINNERS SHOULD BE NOTED ON RESULTS of the final show in your series WHEN POSTING AT YOUR EVENT. IN CASE OF TIE MULTIPLE QULAIFIERS SHOULD BE AWARDED JUST THE SAME AS YOU WOULD SPLIT TIES FOR MONEY WON. Producer can award 1 in each division for every 75 entries (1d-5d regardless of what divisions are used to pay your race). AT COMPLETION OF SERIES SEND ALL RESULTS and A LIST OF THOSE THAT WON QUALIFIERS. AND $1/RUN FOR EVERY RUN IN SERIES.